Children have a way of removing the mask from a pretentious adult. Little ones are not impressed by degrees, titles or bank accounts. A child seems to have a brilliant detector of authenticity when meeting new people. Kids seem to have a protective instinct to guard against fraudulent approaches from a grown-up. What makes a kid a kid is their unabashed transparency. It takes several years for a child to learn how NOT to be transparent. Art Linkletter was probably most noted for his show House Party, and the segment he called "Kids Say the Darndest Things." There are several clips from the show available on YouTube. We laugh at kids who say exactly what they are thinking. They have yet to purchase their speech filter. We laugh at the cute way that kids speak the truth as they see it. Steve Harvey is hosting a new show on television that is a cross between Linkletter and America's Got Talent. The show producers find children from throughout the world with a unique combination of talent and charm. The highlight of the show is the time the kids spend with Harvey in an interview. Prior to this show, I wasn't a big fan of Harvey. I didn't know much about him. But his interviews and work with children on stage are uplifting. It's a big dose of "feel good" television. 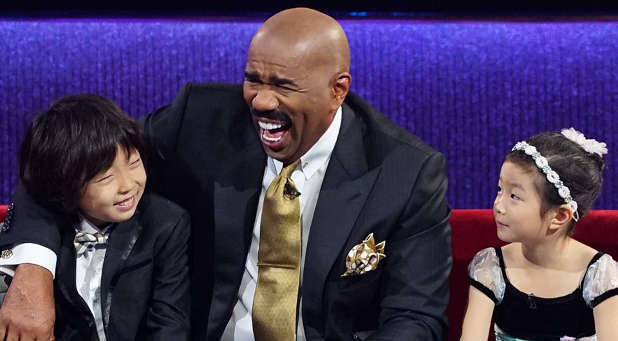 Kids seem to love Steve Harvey. His facial reactions to comments the kids make is worth tuning in every Sunday night, just to see his face. But I think his mugging for the camera is more than a bid for laughs. I think we see the heart of the man. Jesus said, "Allow the little children to come to Me, and do not forbid them, for such is the kingdom of God" (Mark 10:14). Jesus was very displeased with His disciples for trying to stop people from bringing their children to Him for a blessing. Watching a leader with children is very telling. Not every child is able to respond like the kids on a talent show but a leader can still make a child feel important and valued. Kids need daily deposits into the development of their self-image. A child may not understand the organizational power of a leader but they sure know if the leader is the real deal. So maybe the answer to the question "Are you treating me like a child?" should always be, "I hope so." Jesus called a little child to Him and set him in their midst, and said, "Truly I say to you, unless you are converted and become like little children, you will not enter the kingdom of heaven. Therefore whoever humbles himself like this little child is greatest in the kingdom of heaven. And whoever receives one such little child in My name receives Me" (Matt. 18:2-5). Good intentions matter little in the building of a platform. People with good intentions don't make much of a difference. It's the people who show up and take action that can really change their ZIP code. Send for my free series of lessons titled, "The Fundamentals of Creating, Curating and Developing Content for Multiple Platforms." 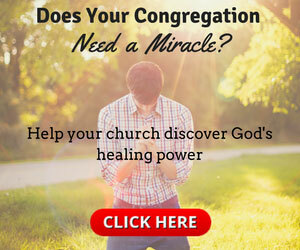 Send your request to:platform@ministrytodaymag.com.